An Introduction - Who Are The Tottenham Hotspur Supporters' Trust? Tottenham Hotspur is more than a football club; it’s the nucleas of a community and the focal point of one of the most passionate fan bases in the country. However, for some time now, fans have been growing discontent with life as a Tottenham fan, when you love a club as much as we love ours, off-field matters are just as bigger cause for concern as on-field success. In the background, while the faithful grow ever more disenfranchised, the official Tottenham Hotspur Supporters' Trust have been reforming, regrouping and restructuring in order to make themselves as effective, useful and influential as possible going forward. On the back of their recent increased social media presence, I was given the chance to conduct a question and answer session with those behind the revival of the THST, crowd-sourcing questions from across social media, and asking the things we fans care about the most. What resulted was a frank, honest and insightful look behind the scenes of one of the most essential networks for fans at Tottenham, and I can only applaud them for their generous co-operation. It goes without saying that if you love our club and care about our community, it’s imperative that you try to get involved with THST in any capacity that your time allows you to. For now, the best port of call would be to keep up to speed with activity by following them on twitter (@THSTofficial) and have a read of their current literature on their website. 1. 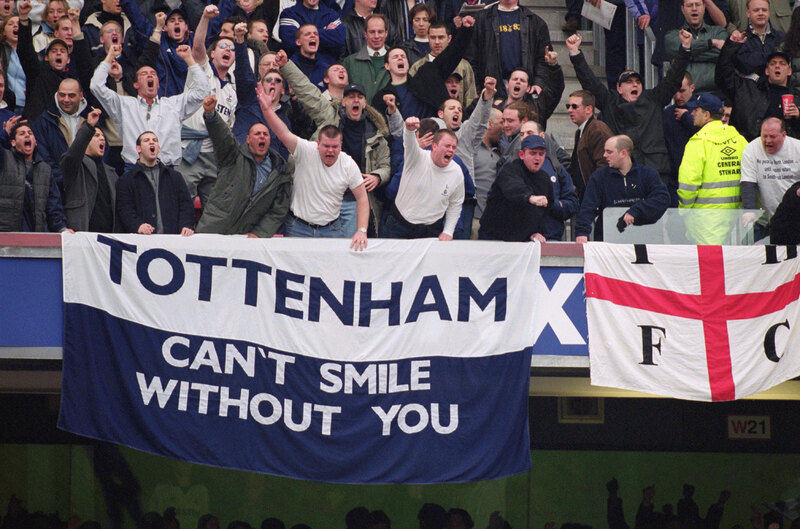 First things first; who are the Tottenham Hotspur Supporters' Trust? - The basic definition of a Supporters' Trust is a democratic, non-profit organisation for fans, committed to strengthening the voice of supporters in the decision making process at a Club, and strengthening the links between the Club and the community it serves. In simple terms, think of THST as a Union for Spurs Fans; where the FSF would represent you on a national level, THST would represent you at Club level. 2. Who is involved at THST? - The THST Board has recently had a complete re-organisation which has seen 4 new members added to the 2 remaining members of the previous Board. The New Board consists of Darren Alexander (Joint Chairman), Darren Howlett (Joint Chairman), Katrina Law (Secretary; Ticketing and Safety), Howard Sherman (Treasurer), Ellie Kershaw (Board Member for Community & Strategy) and Tracey Mottram (Board Member for Branding & Communications). 3. What do you do for fans? What is your purpose and mission statement? - THST seeks to represent Spurs fans on a vast array of matters from Ticket Pricing and Policing issues to Stadium atmosphere and much, much more. Traditionally, THST have only really been involved in Spurs specific issues, but the new Board are keen to reach out and be involved at National level through relationships with organisations such as Supporters Direct and the FSF. 4. Where can we get a hold of you, and can we join or get involved? In the meantime, we are looking for volunteers to help shape THST’s future. Specifically, we are looking for people with Legal Experience (hopefully related to Industrial and Provident Societies, which the Trust is), Events specialists, IT specialists to help with our website group build and Social Media experts to help with our online presence. 5. How, and who exactly, do you lobby at the club? - Traditionally, THST has always had contact with THFC at Board Level through meetings with Daniel Levy, of which there is an agreement for 3 such meetings a year. On a day to day basis, THST has contact with Donna Cullen, the Club's Executive Director, as well as Ian Murphy (Head of Ticketing and Membership), Sue Tilling (Chief Safety Officer) and Jonathan Waite (Customer Services and Supporter Liaison Manager). At National Level, we are working with the Supporters' Trusts and Unions at the majority of the Premier League Clubs to lobby for safe standing, cheaper ticketing, better treatment for away supporters and fan involvement in key decision making. 6. If you're a representative of the fans in an official capacity; why don't you follow many of them back on Twitter? - This is a question we’ve been asked a couple of times recently. We feel it’s important to keep our twitter timeline fairly light so as not to miss or overlook anything of importance from any key organisations, such as SD or the FSF, as well as other Groups we are working with. However, we do respond to every interaction and our goal is to reply in full within 24 hours wherever possible. We also follow in excess of 2500 people on our personal accounts so are well aware of the trends, themes, opinions and issues at any given time. 7. Why is participation and co-operation with THST so important? - The Trust will only ever be as strong as the people behind it and that’s exactly why we need as many people as possible to sign up as members and take an active part. The more members we have, the more weight we will carry. One of the main plus points of a Supporters’ Trust, in our eyes, is that it's a completely democratic body where it’s possible for anybody to join, stand for election to the Board and eventually, through hard work, become Chairman. Once our new database is up and running, we will regularly survey our members to find out their opinions on the issues facing Spurs fans so as to help shape our strategy. 8. Do you support the fan lead campaigns for safe standing areas to be trialled at White Hart Lane and any future stadium? - Absolutely. We believe the time is right to reintroduce safe standing areas into Premier League and Championship stadia and, going forward, we will be working with the FSF, Supporters Direct, our fellow Supporters’ Trusts at National level to call for the required changes in the law needed for this to happen. We look forward to seeing how the safe standing trials taking place at Peterborough United and Aston Villa in the near future progress as we feel that, with the new stadium build hopefully gaining momentum, this is something that the plans could be altered to accommodate. 9. Atmosphere inside The Lane is a huge concern for fans; have you got any plans to remedy this? - We assure you all that it's of huge concern to us as well. We are looking to form a Joint Working Party with various broadcasters, podcasters, authors, journalists and, crucially, a representative focus group of fans to discuss the current atmosphere at White Hart Lane and develop realistic, workable solutions to be tabled to the Club at Board Level. 10. How long have THST been around, and what have you achieved of note to date? 11. Where do you stand on the 'Yid' debate? - Whilst we aware this is a very emotive issue, our current viewpoint is to reiterate the Club's current stance that our fans use the Y word as a call to arms and badge of honour. Previously, members of the Trust Board have been present at meetings at The FA and THFC where this opinion has been stated. Clearly, we are aware that certain parties have been vocal against this identity over the past few years but it’s our view that their time would be better spent educating fans of opposing clubs as to why it’s inappropriate to sing certain songs when their teams play against us. 12. Ticket prices home and away are rising disproportionately, who are you working with to try and protest these? - We are currently working with Supporters Direct, The FSF and our fellow Supporters’ Trusts on this issue. We recently attended an SD meeting in Birmingham at which Cathy Long, the Head of Supporter Services at the Premier League was present, and were subsequently invited to present a paper regarding Away Ticketing and Conditions, which has now been sent to both the PL and Daniel Levy. You can read this at www.THSTofficial.co.uk. We are also working with various groups, such as Liverpool’s Spirit of Shankly, to help coordinate some of our fans who are involved in the #AgainstModernFootball movement. 13. Are you trying to get the drum back inside White Hart Lane? - We will shortly be surveying fans to garner their opinions on the Drum and will base our strategy on its findings. As we’ve said above, we do appreciate that something needs to be done. 14. How many people will be offered a season ticket once we have finished building the new stadium? - That’s really a question we need to put to the THFC Head of Ticketing and Membership. Obviously, we know that there are thousands on the ST waiting list, but only time will tell if they really want to buy one when it's offered. 15. The ticket buying system and loyalty point scheme have some concerning flaws (waiting online, people buying tickets in bulk for extra loyalty points to then sell on via twitter with no intention to go to the game etc) what can you do to fix this? - We will be meeting with Ian Murphy, Head of Ticketing and Membership, very shortly and these issues are already on our agenda. Since THST’s new Board took over, we have vowed to ensure that all meetings are minuted and uploaded online within 48 hours, wherever possible. Regarding the loyalty point system, there has always been an open invitation from Ian that, should we be able to suggest workable alternatives to how the current system operates, he will try his best to accommodate them. THST are exploring the idea of a separate loyalty point system for European competitions at the moment, along with possible LP priority for Cat A home games. We intend to discuss this further at THFC's earliest convenience. Should anyone have suggestions regarding improving the current system, please contact us at @THSTofficial. 16. Where do you stand on the recent 'bubble' proposition put forward by the police when covering football games? - As a Board, we are against such measures. We believe that fans have the right to travel to a game under their own steam and should not be forced in any way to travel under these “bubble” terms. We will shortly be meeting with Amanda Jacks of The FSF ( @FSF_FairCop ) and will offer any assistance we can to fight against this. 17. Some fans feel disenfranchised with the way we're now perceived to be treated more as consumers than essential parts of the clubs success, does this sort of thing matter to you? - Yes, it absolutely matters. Many of us feel exactly the same way and we are committed to doing whatever we can to make sure that THFC starts to appreciate the magnificent support that our fans from up and down the UK and abroad contribute to the cause. 18. Do we have any fan events to attend, meetings or AGMs in order to put our feelings across to the club directly? - One of the ways in which the new THST Board seek to change things is by instigating a social side to our operations so, yes, going forward, we will be holding some events as well as Members Meetings. Our medium term goal is to return to having yearly, democratic elections at our AGM, where people can offer themselves forward to election to the Board. 19. The ‘stubhub’ ticket deal has been met with some anger by fans, do you have any idea of the ins and outs of the affiliation at all? - This is definitely something that is on our agenda for our meeting with Ian Murphy. Secondary ticketing markets can become legalised touting unless they are very carefully controlled and we’d like an explanation as to this move as it’s something the Club had previously dismissed. Again, we’ll report back once this meeting has taken place, so please keep an eye on our twitter feed at @THSTofficial and our temporary website located at www.THSTofficial.co.uk. - None from us. We’d just like to thank Raj for running this Q and A and giving us the opportunity to connect with so many people via the @SpursStatMan account.